Dieser Artikel ist auch auf Deutsch verfügbar. Click here to find out more about Germany! 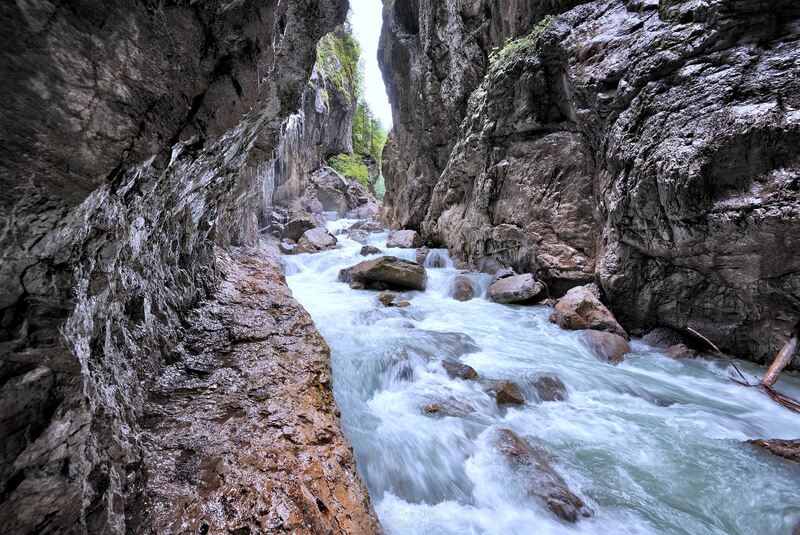 Not far from the Olympic Ski Stadium in Garmisch-Partenkirchen lies one of the most famous gorges in the entire Alpine region: the wild Partnachklamm. 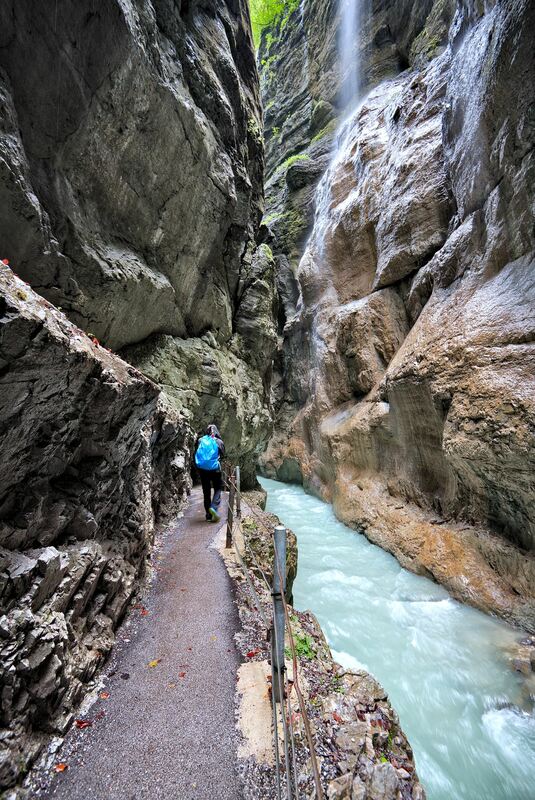 For thousands of years, the turquoise-colored Partnach has eaten its way deep into the soft rock, leaving behind a narrow valley with spectacular views of steep rock faces. 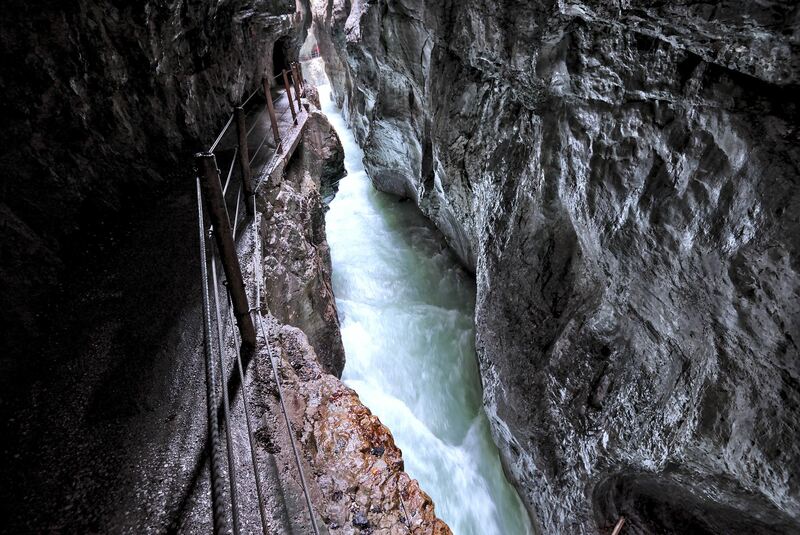 The start and end point of the proposed hike is the Olympic Ski Stadium in Garmisch-Partenkirchen. Parking spaces are available there. 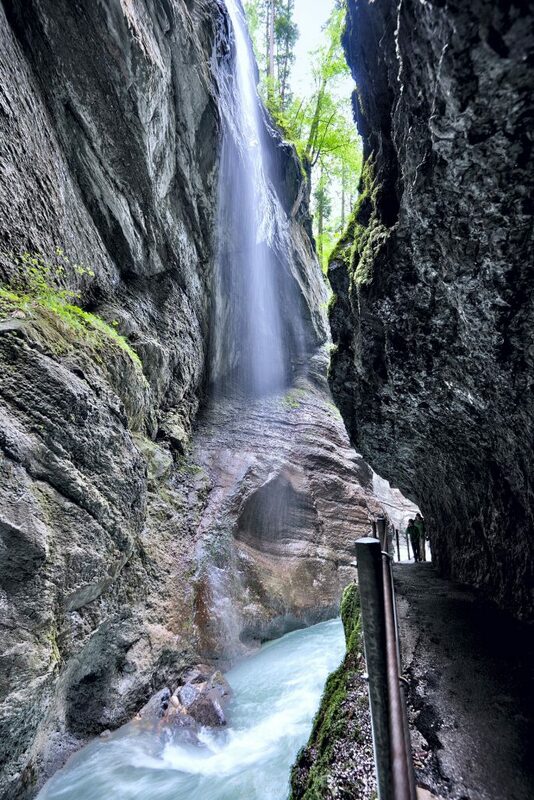 The bus stop can be reached from the main railway station with local lines 1 and 2, so the Partnachklamm also makes for a good day trip from Munich. 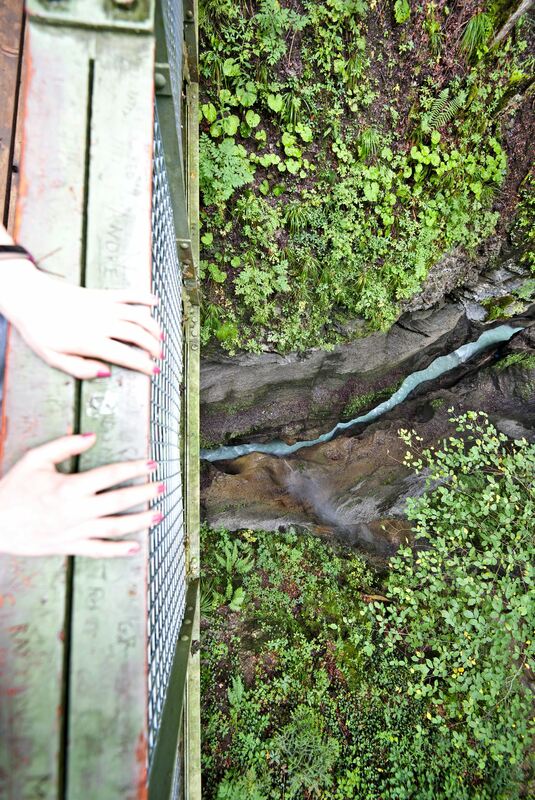 The distance to the entrance to the gorge at Wildenau is about two kilometers, but you can also cover the distance comfortably with one of the waiting horse-drawn carriages instead of on foot. The entrance fee is five Euros for adults and two Euros for children. 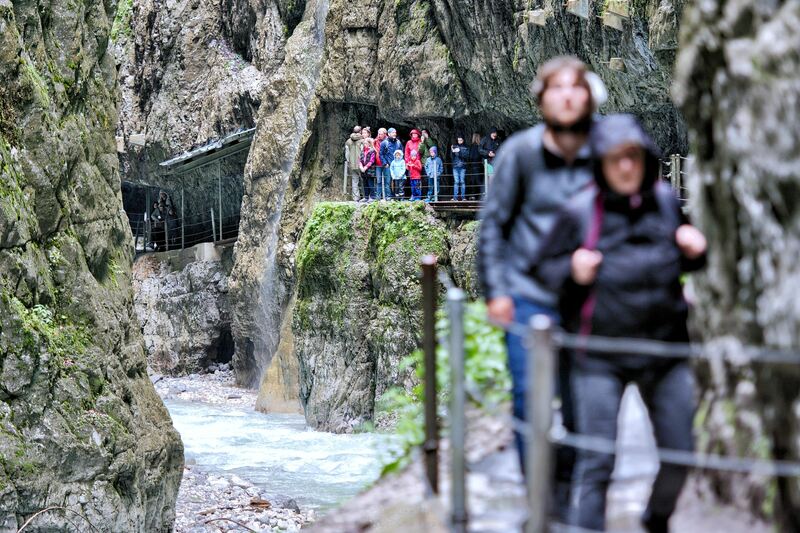 If you own a Zugspitzcard, the entrance fee is already included. 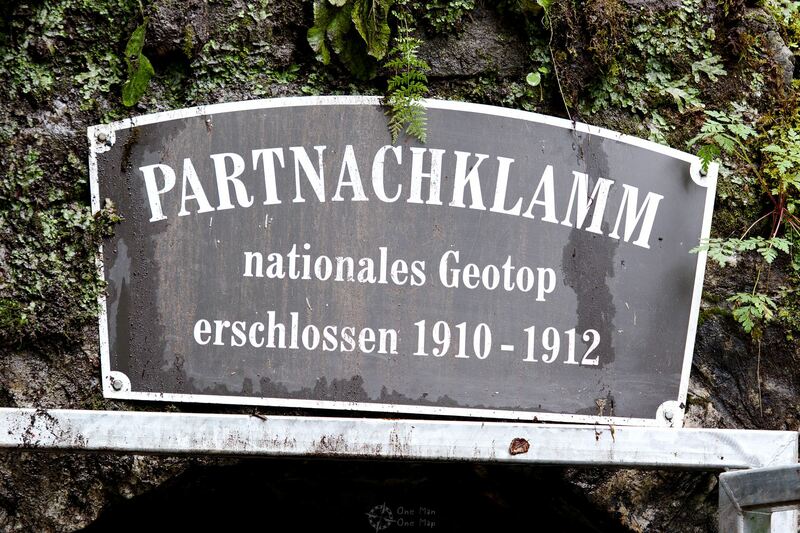 Since 2017 the Partnachklamm is no longer accessible at night due to liability reasons, the entrance gate remains closed outside the opening hours (6 AM to 10 PM in Summer, 8 AM to 6 PM or 9 AM to 6 PM during the other seasons). 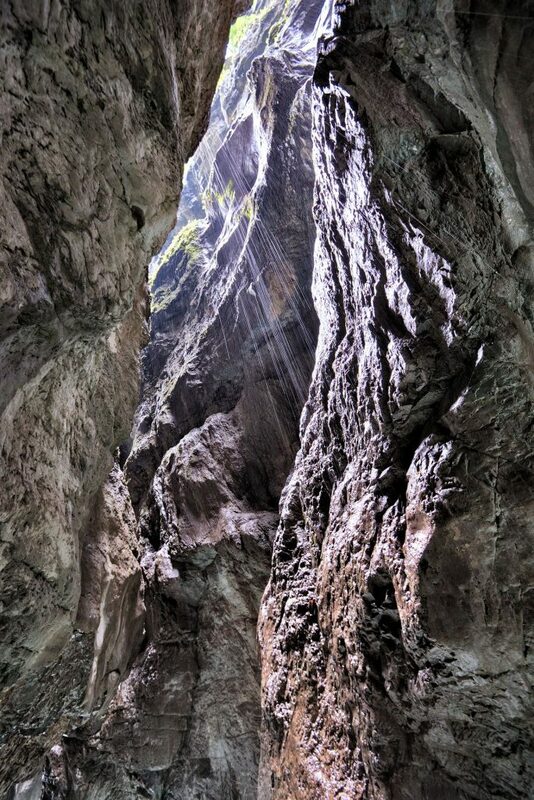 Apart from that the gorge is accessible all year round. 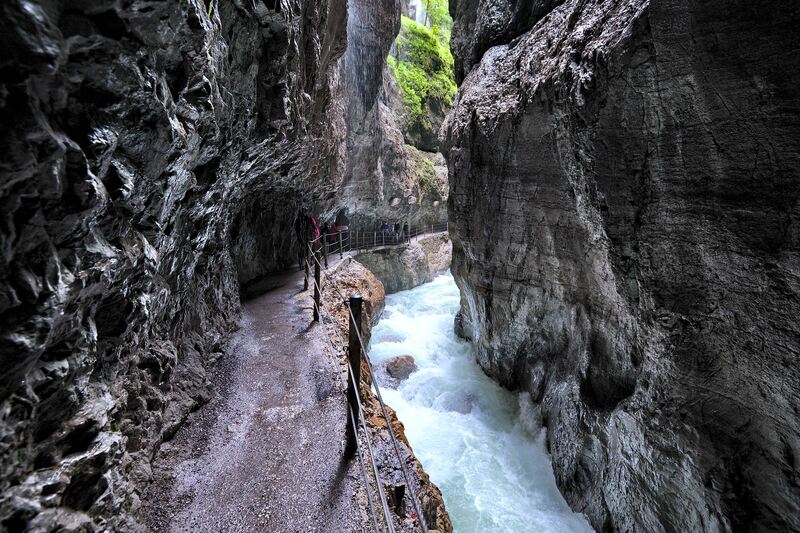 The best time for this hike is one or two days after heavy rainfall or when the snow melts in Spring, but then the probability that the gorge remains closed due to undermining of the paths or rock falls is also the highest. 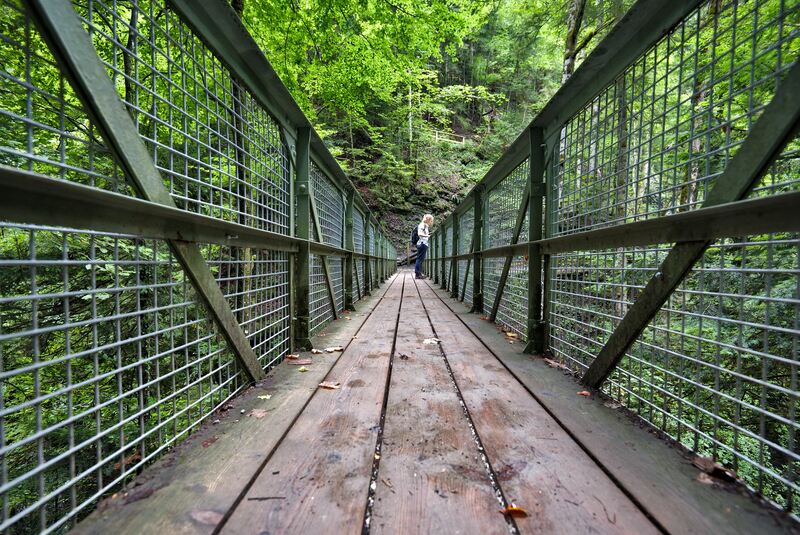 A note for photographers: because of the very high walls, the sun only makes it into the gorge around noon. The 700-metre-long gorge has been open to the public since 1912. 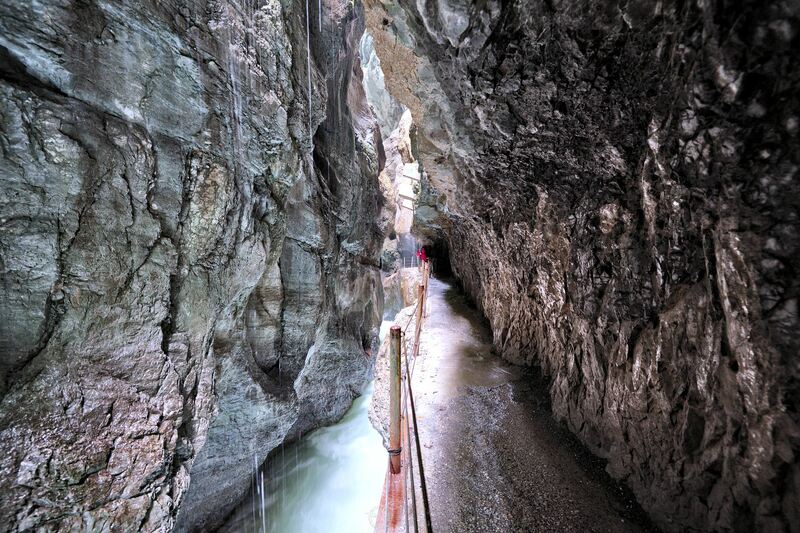 Until the 1960s, tree trunks were transported through it during the snowmelt. 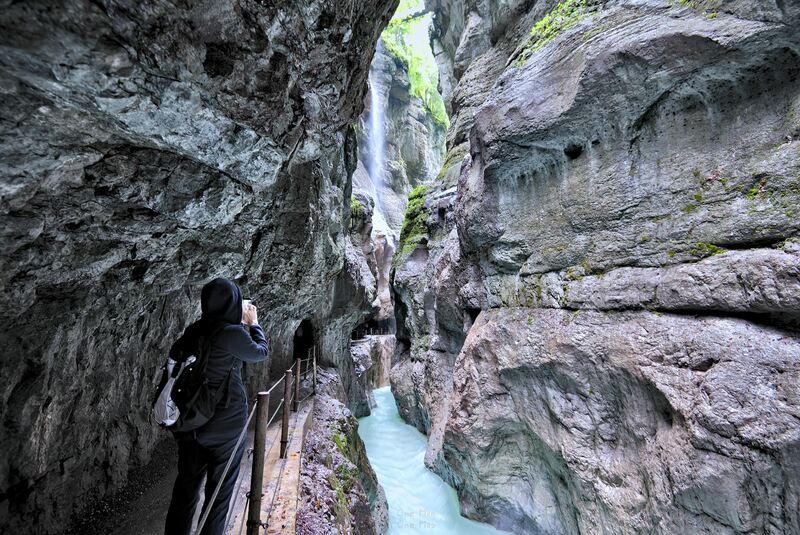 Today the gorge is only of touristic importance, but some movies have also been shot here. 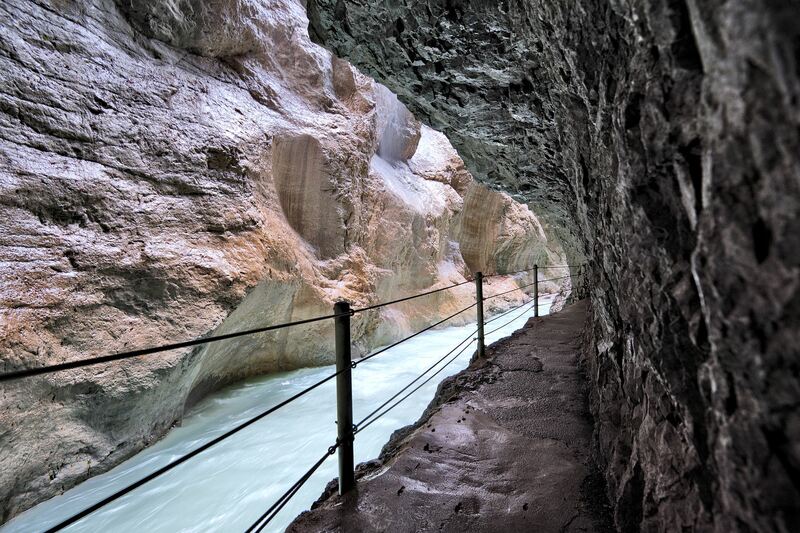 On its way from the Schneeferner Glacier to the Loisach near Garmisch-Partenkirchen, the Partnach has eaten its way through the hard shell limestone, leaving behind a narrow valley up to 80 metres deep with steep and sometimes even overhanging walls. 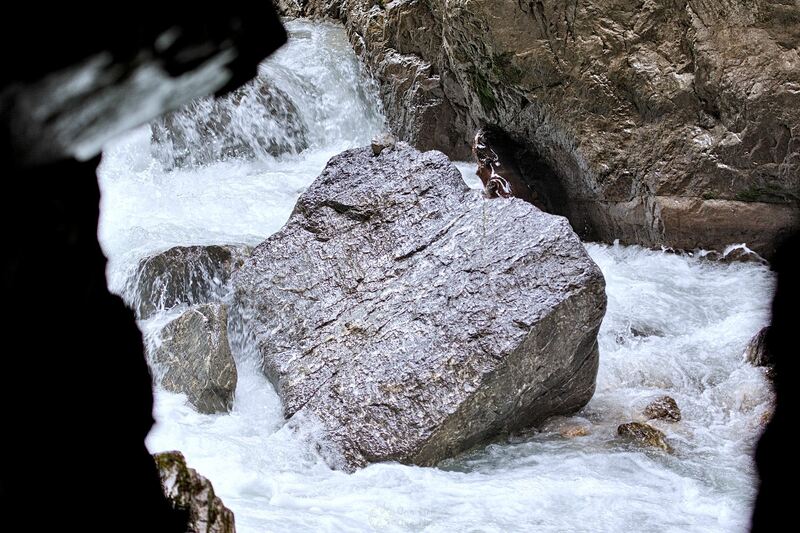 In many places the sky cannot be seen directly, but the white-turquoise water of the Partnach reflects the incident light onto the smoothly polished, grey-blue rock surfaces, creating a very special atmosphere. 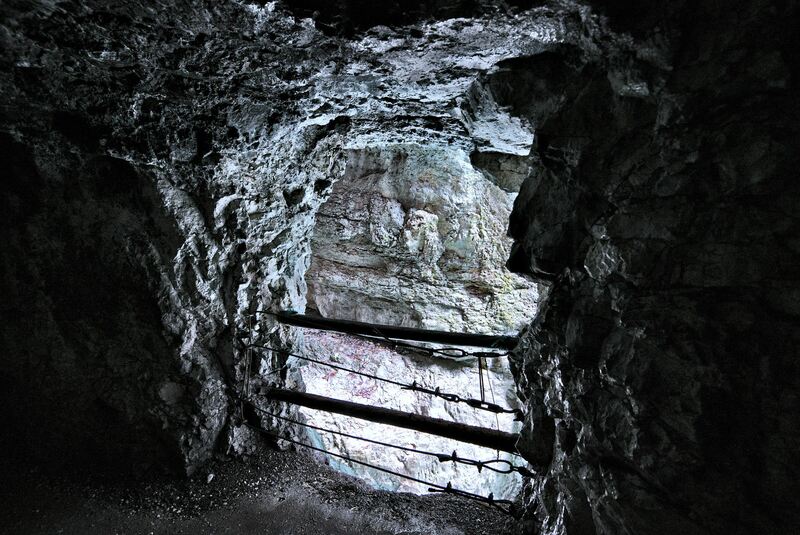 In some places reddish rock shines through. After too many people had lost their lives during the timber transports, footpaths (iron girders covered with wooden boards) were installed. 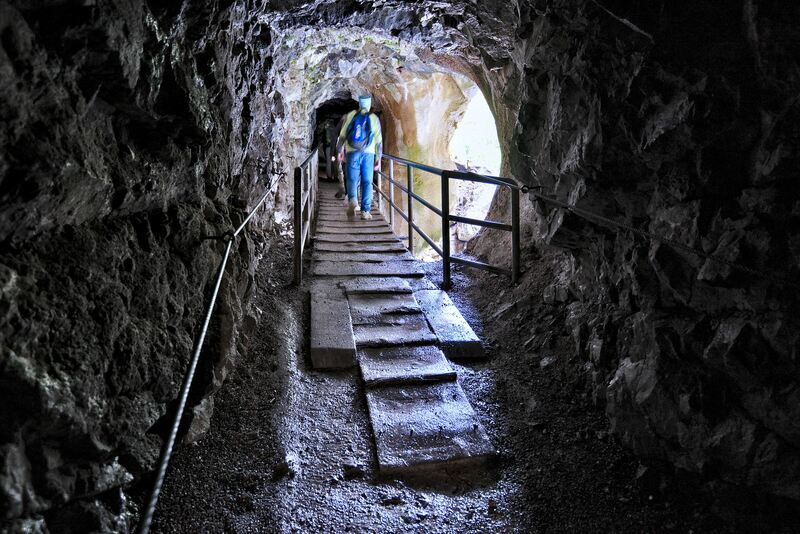 For the development of tourism, secured paths and even tunnels were later driven into the rock by fearless workers. 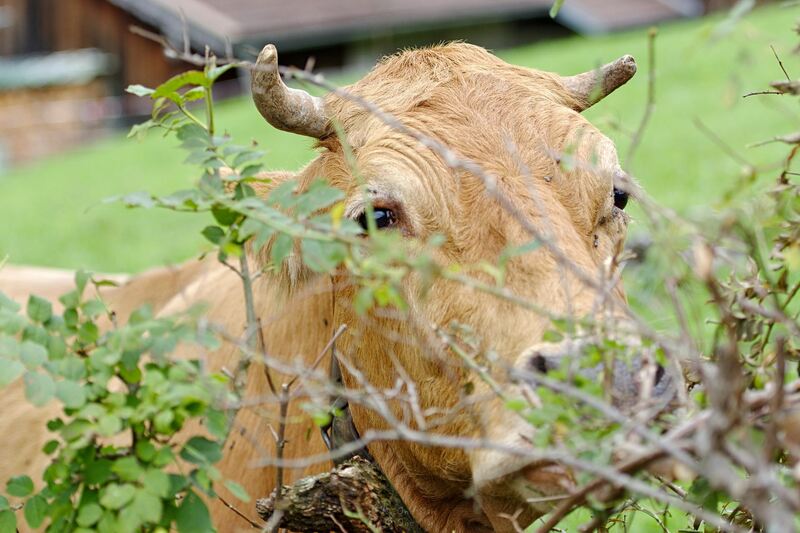 Today, there are only a few remains of the old footpaths left to be seen. 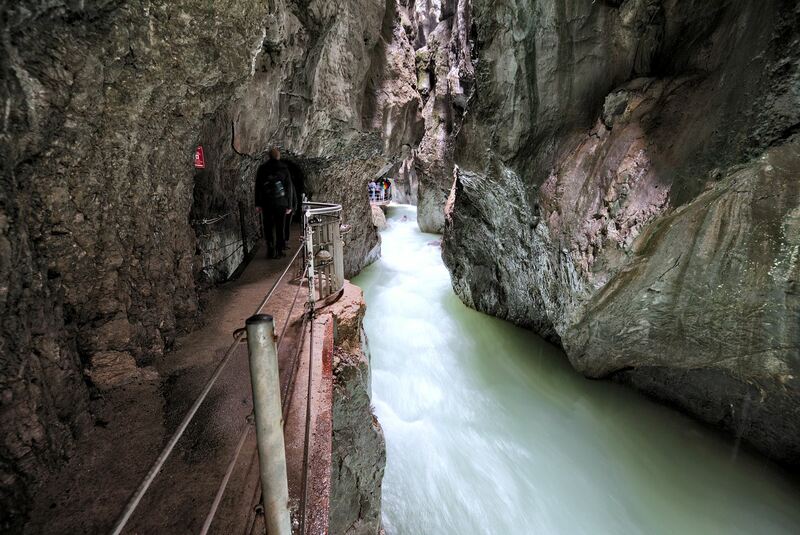 Depending on the source, up to 300,000 tourists per year squeeze through the narrow paths and tunnels. 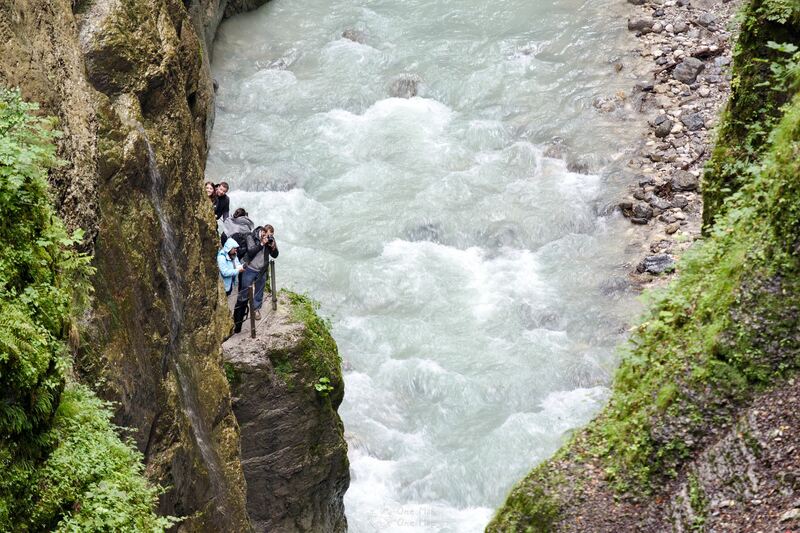 Many mountaineers also use the gorge as a shortcut on their way to other nearby destinations. We went to the gorge on a rainy day and it was okay until about 11 AM, but then the rush increased significantly. At the typical “Instagram photo spots”, as usual, longer queues immediately formed because every second visitor spent minutes working on the optimal selfie. Depending on the weather, more or less water drops from the ceiling. 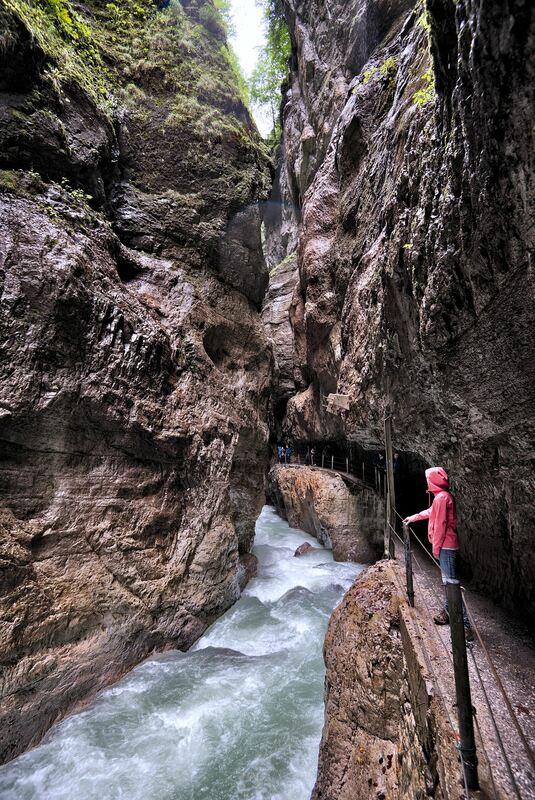 In winter these “veil falls” ice up into huge ice walls, icicles swell out of the walls and the whole Partnachklamm transforms into an icy dream landscape. The icicles also last much longer in the dark, narrow valley than outside. 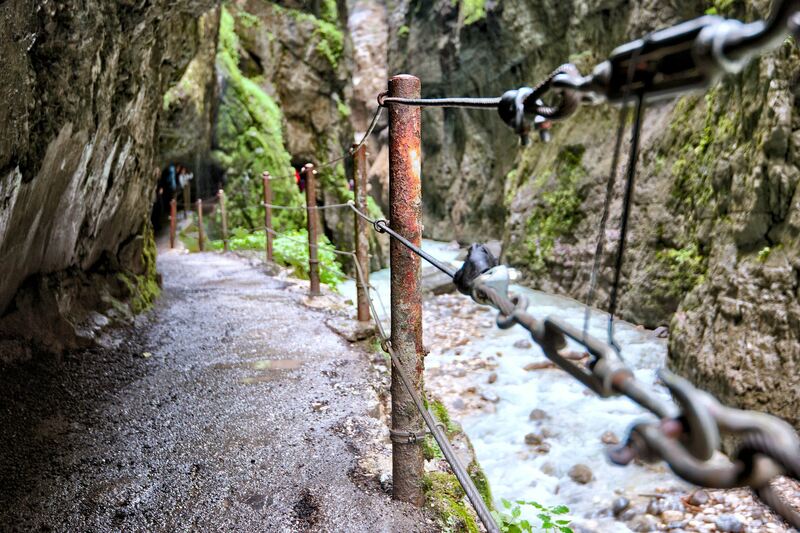 At the end of the Partnachklamm we follow the signposted path to the Graseck. 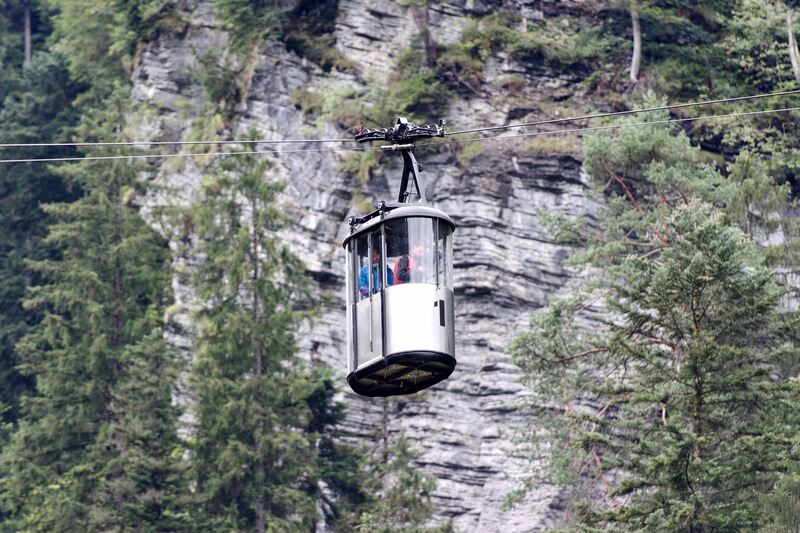 If you like, you can also hike the 3 kilometres and 425 metres of altitude up to the Eckbauer (GPX-Link) and then take the Eckbauer cable car back to the Olympic Ski Stadium. 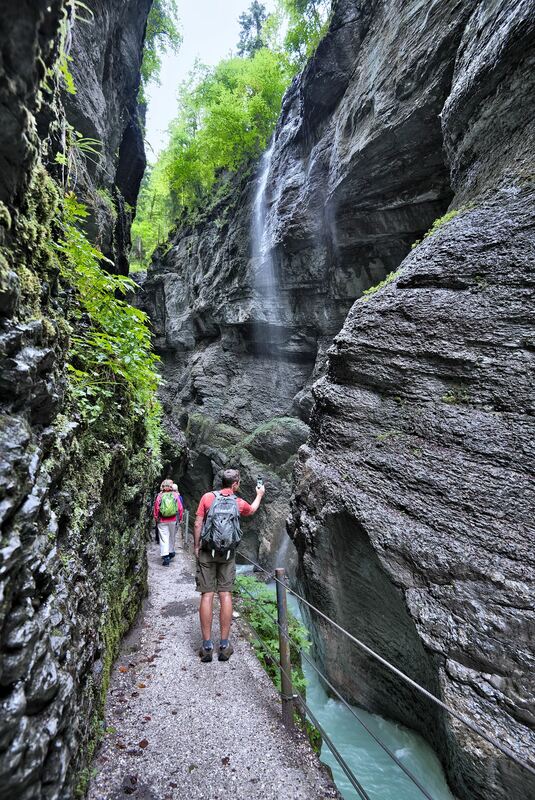 In the other direction you can reach the Rießerkopf (GPX-Link) after 4 kilometers and 530 meters of altitude. 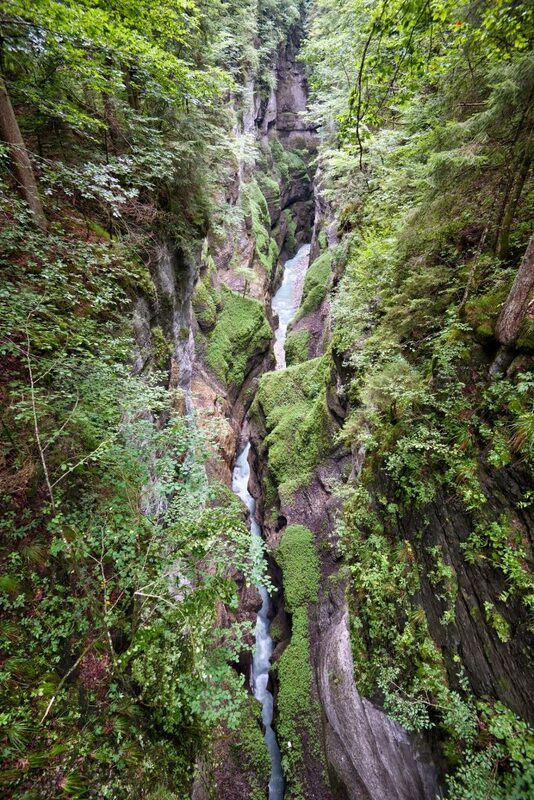 From there you can then take the Hausbergbahn back to the valley in Summer. 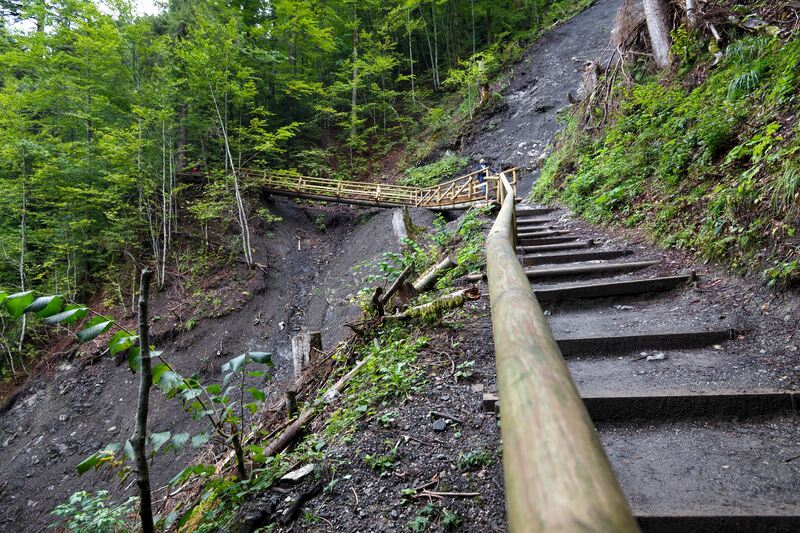 Shortly before the Graseck Hotel and the cable car, a small path branches off which leads to the Iron Bridge further down. 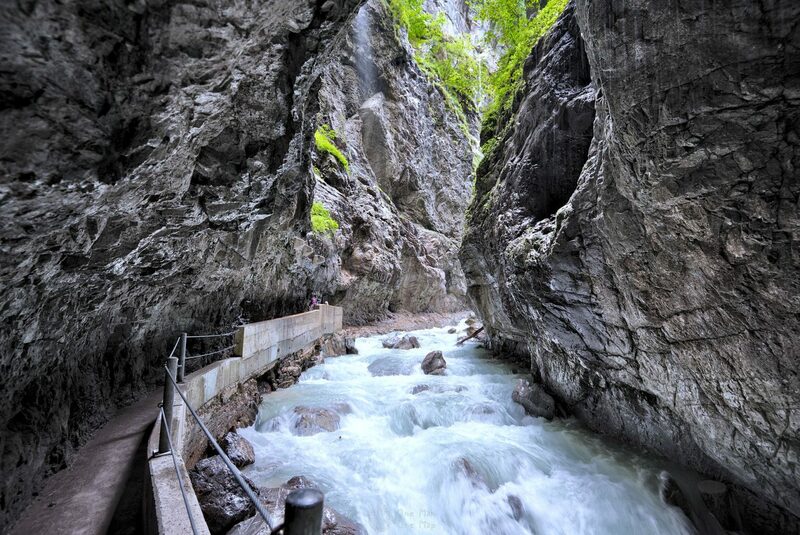 It crosses the Partnachklamm shortly behind the entrance at a height of about 70 metres. From here you have a unique view of the gorge further down. Arrived at the Graseck, we take the Graseck cable car back to the valley and from there we go back to the Olympic ski stadium. 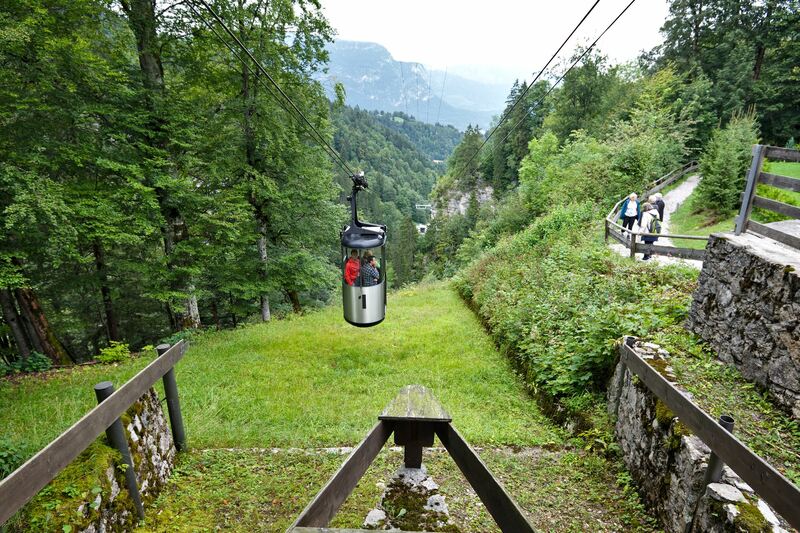 The four Euros for the short, single ride are not exactly cheap (the ride is included in the Zugspitzcard), but keep in mind that you are riding the oldest small-cabin cable car in the world. “Small-cabin” should be taken seriously – the tiny metal boxes are no bigger than a small 😯 elevator.